The Vixia HF G21 is the most budget-friendly camcorder at only $825.98. It records full HD video at 1920x1080. It has a new HD CMOS Pro Image Sensor that brings improved low-light performance with a wide DR Gamma of 600 percent. It will also record slow and fast motion with an interval rate from 2-1,200x. 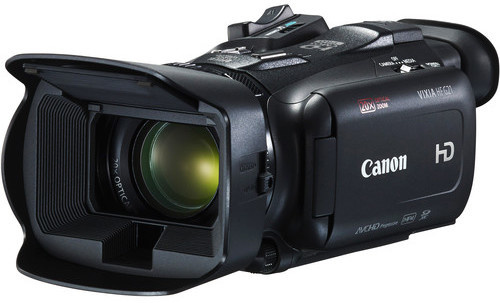 The camcorder also boasts a highlight priority mode, dual SD card slots, 3-inch touchscreen LCD, and a tiltable electronic viewfinder. The XA11 and XA15 record AVCHD and MPEG-2 formats via a 1/2.84-inch CMOS RGB sensor. Frame rates are 60p, 60i, 30p, and 24p. It is fronted by a 26.8–576mm (35mm equivalent) optical zoom lens which has 16 levels of variable zoom speeds at a fast wide aperture of f/1.8–2.8. The cameras have a built-in stereo condenser microphone along with a stereo mini-jack, and their viewing screens are 3-inch touchscreen monitors with 460k-dot resolution. They are very similar, the only difference is the XA15 has a BNC HD/SD-SDI terminal jack for output only, and the XA11 doesn’t. This difference corresponds to a $500 price difference. 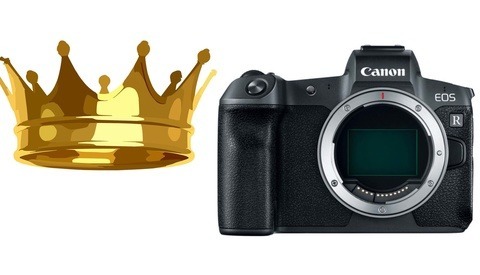 The Canon XA11 is $1,399 and the Canon XA15 is $1,899. 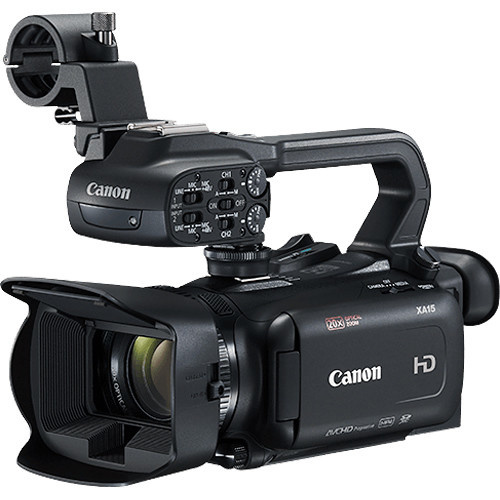 These camcorders will be available at the end of the month. What do you think? Is the lack of 4K capability a deal-breaker for you? "The lack of 4K capabilities has many consumers wondering who will buy and use these products." 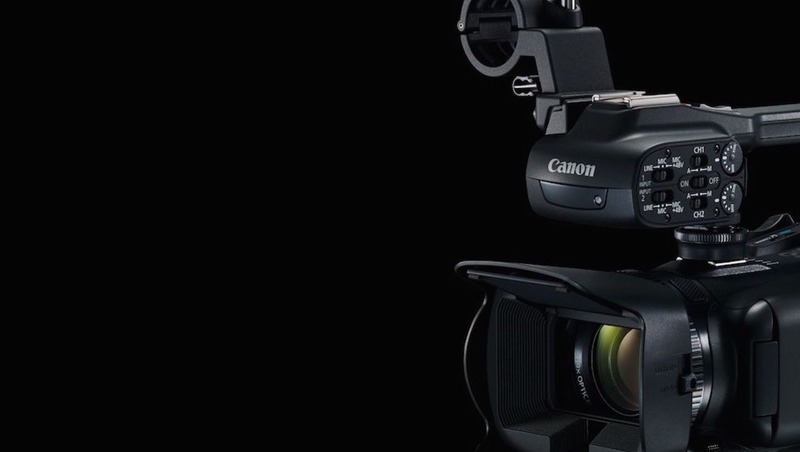 If Canon have gone to this much trouble to design and sell three completely new camcorders but without 4K,I think this is a sign of things to come.To me this means less chance of 4K for the EOS 90D when ever we can expect it to be with us. Hopeful rumors was the 7d3 having 4k but I don't think so. 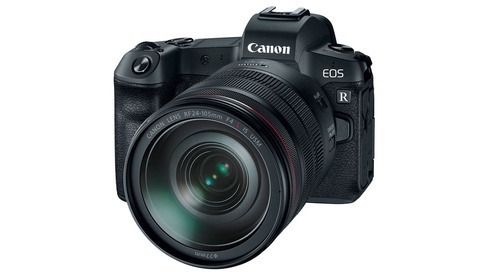 At the current rate Canon are de-evolving at,we can expect the 90D to have 720P and the 15D (where will they go with model numbers after 90?) to have 480P. Not really a surprise, Canon does whatever it wants and people still buy their overly expensive equipment. Canon is so out of touch with the market and its consumers that one has to question whether they even care anymore. If you're shooting video sure. Stills not so much, you're splitting hairs in stills category. Sorry but WTF Canon WHAT ARE U DOING?! Sony and Panasonic (and Nikon) all try to get 4k in most of the camera's that come out now, why wouldn't u put 4k in a new camera, it's like they don't want to sell these camera's?! Love all the people saying "bye canon" blah blah. They don't care. Everybody is like "well sony has 4k" well sony has battery/overheating issues to solve. Huh, well, I guess if I just need a pro-sumer level camera I'll stick with my XC15. It has 4K if I really need it, and if not, then why would I sell it to get one of these?!?! If I were buying a dedicated video camera then I would want 4k. It’s a standard feature I expect. Canon should change their logo to a middle finger. Or a dollar sign. Because they'll only give you 4k if you have ten grand. Or more. VERY disappointing that they keep bottlenecking their own gear. Ridiculous. "People don't need 4k." DON'T TELL PEOPLE WHAT THEY NEED. GIVE THEM WHAT THEY FRIGGIN' WANT. While I can respect 108060p, all three have a maximum bitrate of 35 Mbps. Interesting that they're no longer seeing journalists as a viable market for this type of camcorder, when 50 Mbps is considered the minimum for broadcasting. 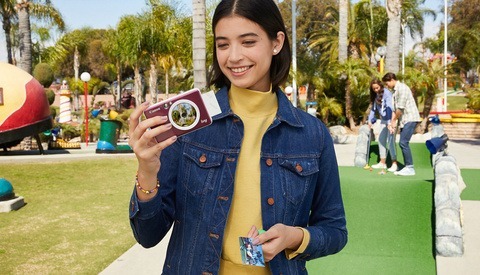 (1) It has a very small Smartphone-sized sensor, albeit native FHD (not even a decent 1/1.7")... (2) No hardware stabilsation... (3) $800+... (4) Great lens and zoom ratio but why no 4K? (5) And the bitrate... Bonus rant: why only 60P when 120 fps is now on almost all FHD mode on may 4K capable cameras at even half the price??????? Totally depends on what you shoot, workflow, and final product. As a photojournalist that will sometimes do video I have to move high quality images but also as fast as I can. I'm not going to be able to do that with 4k video so have no need for it and like that I have the option to get an HD video camera that has improved technology like low light performance without having to pay for something I'm not going to use.